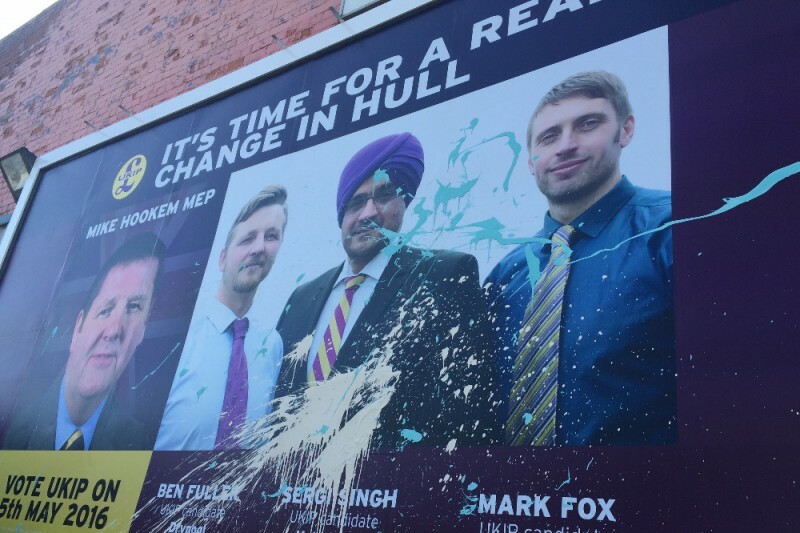 Anti-democracy campaigners in Hull have vandalised a UKIP billboard within hours of it being put up. Pain has been thrown on the billboard which was paid for using money raised by members and supporters in Hull. Most of the paint has been thrown over a picture of candidate Sergi Singh which could point to it being racially motivated. UKIP Hull are trying to raise £5,000 to replace the billboards that have been vandalised. You can donate through the GoFundMe website.